Business owners are constantly looking for ways to improve efficiency and free up their team’s time for more productive tasks. In such cases, choosing a Customer Relationship Management (CRM) is a logical choice to fuel business growth. 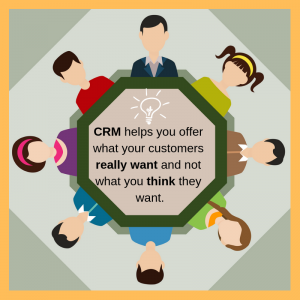 However, once you decide to opt for a CRM, you will encounter many choices, making it a challenging decision to pick the right system for your business. Zoho CRM offers a free version for small businesses with an employee strength of less than 10. This is a great way to test drive the software and decide whether it’s worth investing in the paid version. 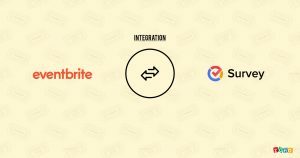 Some of the unique features of the software include workflow automation, lead gathering, smart analytics, contact management and a wide range of tools that help you convert prospects into customers. 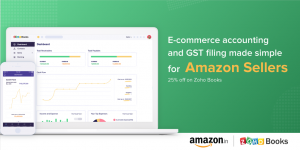 It also allows you to integrate all data with mobile and Google Apps, making it a great solution to attract more customers and close additional sales. Salesforce CRM is an all-in-one cloud-based solution for all types of businesses. It enables organizations to find new customers, keep existing ones, close sales deals and grow businesses. Some of the key features include sales forecasting, workflow automation, lead generation, generating and analysing reports, mobile access, lead generation and opportunity management. It offers real-time data that eliminates hours of research to find leads and helps in evaluating opportunities. It can also be integrated with outlook and helps motivate and manage your salespeople so that they can reach their goals. You can also integrate other business functions like HR, IT, finances, marketing and customer service in the platform. Microsoft Dynamics is a highly flexible and powerful CRM tool that meets the needs of various business processes, industry verticals, and complex business challenges. It helps in improving sales forecasting, scheduling, and purchasing while also enabling better pipeline management. The software helps you create product families, catalogues and mobile dashboards that bring productivity and efficiency in your sales. You can also integrate the system with outlook and Microsoft office so that your employees can easily pull information from Office applications into the Dynamics CRM. The other key benefits include easy data access, customized workspaces, excellent mobile support and great data migration and security. This is a process-drive CRM system that enables your team to perform coordinated actions in sales, marketing and service by integrating customer data with process management tools. It offers scalable features and helps you enjoy both, BPM and CRM functions within a single solution. The key features include knowledge and project management, synchronization, integration and import, lead management, collaboration tools, Omni-channel communication, mobile sales and much more. It offers better flexibility with agile deployment, delivers an engaging interface that’s easy to use and integrates smoothly with open configuration. Once you understand your business needs along with the budgets and expectations from your CRM system, you will be able to find the perfect software to boost sales and maintain great customer relations.